Ryan is an alumnus from Oratory who graduated in 2018 and now attends Loyola (Maryland). 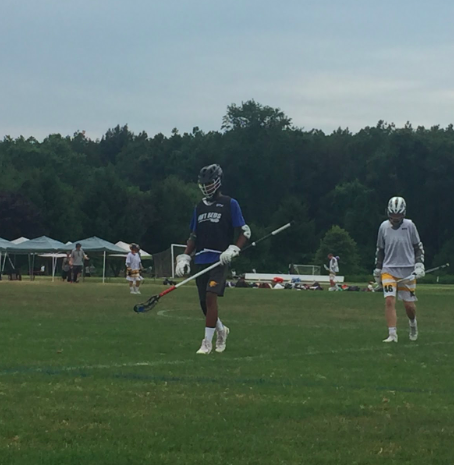 Throughout his four years at Oratory, he had a heavy impact in the different clubs he took part of and on the lacrosse field. What was the hardest part about transitioning from high school to college? The hardest part was figuring out how to adapt to a new schedule and find time for everything that worked for me. In high school, you had breakfast before school and lunch during. But in college you pick your schedule around when you eat and vice versa. What is your favorite class currently? What is your least favorite class? My favorite class is micro and my least favorite is Spanish. What was the biggest change you had to adjust to? The biggest change I had to adjust to was from having a fixed schedule. In high school, it’s wake up, school, sports, home, sleep. In college, unless you play a sport, you are on your own with a lot of free time, so managing that took a while to figure out. Do you have any idea what you want to major it? If so what? I want to double major in finance and computer science. They go hand in hand. When you compare your teachers from Oratory and your professors now, who do you think is/was tougher on you? Why? Looking back, I can’t really think of a teacher at OP that was hard, all the teachers were great. There are some that still stick out to me more others that may have taught me more either in the classroom or in life. But when comparing them to my college teachers, my college teachers are harder than my high school teachers, but only because it is on you to ask for help or get involved. They are there to hand you a final unless you take it upon yourself to ask for help. They are all there to help but you have to ask. My favorite part about Oratory was the teachers and kids. Great community of people. I especially loved the lacrosse team. What do you think best prepared yourself for college? What best prepared myself for college was being an independent person beforehand. I didn’t have to worry about who would make me food or clean my room or do my laundry because I was already doing all of that. My advice is to break away from your mom now before it’s too late. 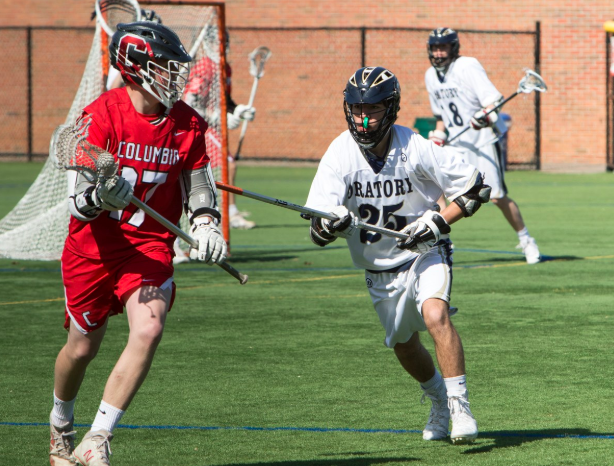 Do you think playing lacrosse at Oratory helped you prepare for college and the challenges that you face now? Why? Yes, playing lacrosse at Oratory helped me because it taught me time management and how to work with a team. All the different teams I played on and tournaments I played in, I had to interact with new people which only bettered me when I had to meet new people and have the social skills for college. If you were able to go back and change one thing about your high school years what would it be? Why? I would go back and simplify my high school life. Unless you are smart enough or devoted enough to go to a top ten school, just keep it simple. Do the classes you have to take and get good grades from them. As someone who spent many years at Oratory, what guidance would you give the current students? Last bit of advice would be to enjoy high school, the friends, and the life because once you hit college it’s completely different so don’t be so serious now.